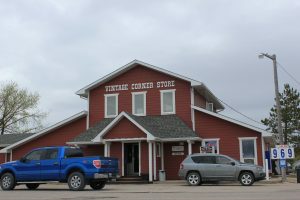 The Vintage Corner Store is the only stop you’ll need on the way to your hunting, fishing, boating or camping destination. This quaint, lodge-style convenience store, gift shop and gas station sells hunting and fishing equipment, food and toiletries, liquor, clothing and more! Sit down in their gift shop upstairs for some coffee and snacks, or fill your tackle box downstairs with everything you’ll need for your visit to Sunrise Corner. © 2016-2017 Sunrise Corner Tourism Initiative. All rights reserved.